Truly the world is a small place. While providing an update on my back problems to [name withheld], she mentioned that she had a friend with the last name Cox and that his father was a Chiropractor. Several weeks later after hearing even more positive news about my progress and the results of the Cox technique, she decided to reach out to Jason to ask if you were his dad. Whereas I am sure you have heard a number of success stories, I am happy to share mine with you... A bit about myself -- I'm 33, active, good health, medium size frame, no history of back problems. In early Nov. while traveling, I was attempting to sit on a stool and my left foot slipped off the rung as I was stepping up on to the stool. This caused a bit of a jerking/twisting motion. I did not fall down, as a matter of fact, none of my colleagues even noticed the incident. I felt a bit of a twinge in my lower back and experienced soreness. However by morning, it was severe pain (both lower back and my leg) and I was shocked to see the distortion of my posture! I had an extreme antalgic lean. Again, I was both shocked and scared as I have never experienced any back problem or injury before. That day, I flew back to Los Angeles and went to the ER where I was diagnosed with a pulled muscle. Needless to say, six weeks later, I was diagnosed with a herniated disc (L4L5, apprx.7mm left posterior with nerve displacement, including drop foot). I was originally prescribed NSAIDs and Flexeril. Then I tried a 5 week pack of Medrol. After that, it was PT twice a week and a Chiropractor for stim and massage. Then it was more NSAIDs, Flexeril and Vicodin. No relief, so I opted for an epidural (ended up having 3). To no avail, my primary physician indicated that the next option was to see a Neuro Surgeon. Of course, I called to set up an appointment however, this surgeon had a five-week waiting list. Around the same time I was having the epidurals, I received a telemarketing call re: low back pain. 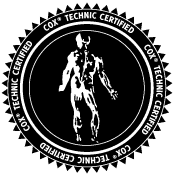 I listened, provided my mailing address, and was sent information about the Cox Technique from Dr. Ben Jakob. Thinking that the epidurals would work, I ignored the mailing. Several weeks later, the same week I was referred to the surgeon, I received another mailing. Given that I was going to wait five weeks for my appointment with the surgeon, I decided to see Dr. Jakob. That was my lucky day! Knowing what I know now, I would have bought a lottery ticket. After only five visits, I noticed marked difference. My pain level and antalgic lean had decreased substantially. Now, after 15 or so visits, I am taking zero medication; the pain in my leg is almost gone; the antalgic lean is almost completely corrected; and my fatigue level has decreased. "not only am I completely convinced that this technique works, I am literally walking proof." Thanks to your technique and Dr. Jakob, I have canceled my appointment with the surgeon. Dr. Cox, not only am I completely convinced that this technique works, I am literally walking proof. I would have never thought that I could have the health that I have today without surgery. Those around me agree as they have watched the transformation before their eyes. I understand that I have a way to go but I am still in awe of my improvement and confident in my recovery. My only regret is not taking before and after pictures. I am so pleased to share this with you directly. Thanks again and if you have any questions, please do not hesitate to contact me. I developed severe pain in my neck radiating down my right arm. The pain kept getting worse for several months. My MD gave me muscle relaxants and anti-inflammatory drugs. It didn’t give much relief. I told my husband my pain was so bad I felt like cutting my arm off. It was burning, throbbing and shooting. I couldn’t sit at a computer it became so bad. It affected my ability to sleep. My MD sent me to a specialist who did an MRI and he told me I had C4-5 disc degeneration with spurs. He wanted to take bone from my hip and put two metal plates along side of my vertebrae in my neck. It would be permanent. My sister had the same surgery which cost her $30,000.00 and she still has the same problem. Hi my name is Melvin. I have had chronic low back pain and leg pain for years. It had progressively gotten worse. I tried the gamut of medical care and therapy with no help. It got to the point when I was walking all bent over and moving with two inch steps. The pain was becoming unbearable and I was almost ready for the nursing home. I could barely walk. I decided to commit to two months of regular care as the nursing home didn’t sound exciting, and with surgery I may never walk again. I also knew that I couldn’t live with the pain. I admit, I was extremely skeptical but didn’t have a lot of options. After going through Dr. Unruh’s recommended course of care, I can’t tell you how my life has changed for the better. I am now golfing four to five times/week. I am able to go bowling. I can mow my own lawn. I can drive my own car. I couldn’t do any of those things prior to coming to Dr. Unruh. Now, consider this: The nursing home would have cost me over $100,000.00/year just to live. The drugs would have cost me much more than the chiropractic care I received. I’m not living on pain pills any more. Dr. Unruh emphasized that the human body can perform miracles if you just give it a chance. I’m glad I put my faith in the healing power of the human body rather than man made chemicals. I must also emphasize that the specialized care with the distraction instrument Dr. Unruh uses is gentle and it feels great to be stretched. I was so stiff I could hardly walk. Medicare this last year expanded prescription drug benefits for seniors. However, they are cracking down on chiropractic care to help pay for more drugs. I am living proof that this is the exact opposite of the direction health care should be going for senior citizens. We need more opportunities to stay well naturally and enjoy life. Dr. Unruh has kept me moving and enjoying life again. I highly recommend anyone to get the care he recommends to get the results I did. The benefits are miraculous. I can remember back pain beginning in my teens. I was even diagnosed with "sciatica" by the age of 13 in the '80s. My chronic low back pain flared up in 1997, and I will never forget it. I was 25 and could not move without excruciating pain. I remember the couple days before going to my family MD with exquisite detail. The 45 minute walk on crutches to the restroom that was one room away will be something I could never forget. My family doctor could not believe the fact that he could not move me an inch without a scream. He injected me in his office with no relief. MRIs showed bulges and herniations in the lumbar spine. My MD referred me to seek chiropractic care. I was incredulous and did not want to see "one of those guys". I held off until the pain returned, and I sought care from the chiropractor as I did not want surgery. The first DC gave me some relief, but not what I would have liked. The second, however, worked miracles in my mind. It was on some weird table that he strapped my ankles into. Due to my career, I moved twice and that doctor did not move with me, so I sought other DCs in my new towns. They did OK as well, but it wasn't the same. I moved back to my hometown and resumed treatment with that doctor with great success. I was so impressed that I switched careers. I am now a Trimester 7 intern at Logan College of chiropractic in St. Louis. I just finished the "Cox" class with Dr. Brinkman, and I look forward to bringing the same relief to my patients that I received myself as a patient. I owe a debt of gratitude to that first field doc who introduced me to this technique and to Dr. Cox for developing it. Thank you for the relief that it has brought me. It is my goal to have my future patients thank you for the relief that it brings them. Cox® Flexion-Distraction has truly changed my life.